Have you ever watched the scene where 007 discovers the underground base of Dr. No? Most any Swiss person would reply: “Of course, military bunkers are everywhere. Why would they not be allowed?” After seven years of living in Switzerland, I have grown used to the Swiss and their quirks. 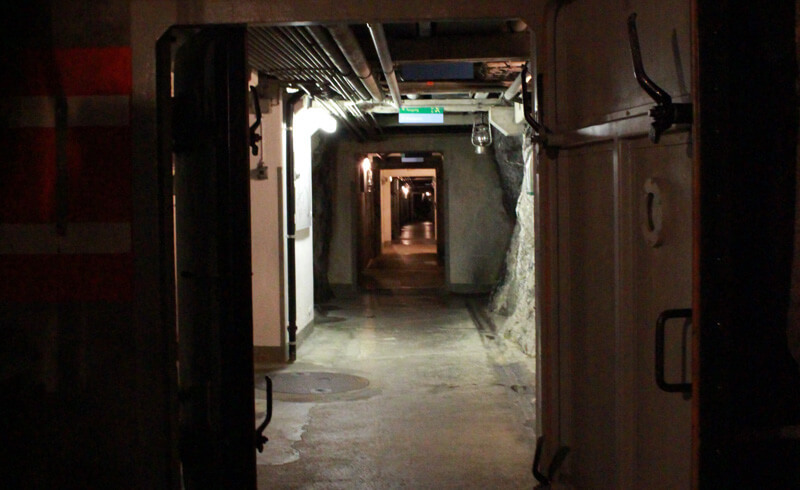 So when I recently visited a declassified military bunker, I wondered whether this Swiss secret served as inspiration for Ian Fleming’s spy flicks in the first place? The Swiss have actually started building military fortifications in the 15th century. But it was not until the height of World War II when a total of 20’000 bunkers, anti-tank obstacles and other fortresses were installed underground and into the sides of mountains as a defense against the Third Reich. And for such a small country, 20'000 "secret" military installments mean that they are all over the place – literally hidden in plain sight. Indeed, somewhere in the walls of a Swiss mountain on the shores of Lake Lucerne in the canton of Nidwalden sits a museum which once was the artillery bunker A 2255: The Fürigen Fortress (Festungsmuseum Fürigen). Surrounded by beautiful vistas and bordering residential areas, it is hard to imagine that this place once housed men in fatigues. They were hiding behind the mountain walls, bustling about and handling their weapons and radios, watching the skies and shoreline for any signs of "the enemy". In this very region, more than ten fortresses were built as part of an intricate defense system, neatly integrated into the Swiss Alps. With all of the civilians in the vicinity, who would have believed that all this time, the army was sitting close by, watching from behind the rock face? Along with other complexes surrounding the mountains, these fortresses served to strategically protect Switzerland. The focus was on train lines and tunnels, on mountain passes and quite generally the Swiss Alps that are geographically dividing Germany and Italy. As a last defense line, the mountains were a safe refuge for a retreating army in case the front line defenses were to collapse. It was not until recently when we finally made our way to the Festung Fürigen museum to take a peak behind the walls. Before entering this fortress, every visitor is warned about the cold, damp climate inside. Old military trench coats from the 70's are offered for use. As if the damp, clammy air of 10 12 degrees Celsius was not enough to imagine a past when heating was a constant problem, wrapping yourself with an oversized olive green trench coat could give the finishing touches to that 60s James Bond film set. An entrance that looks like an old shed gives way to a secret underground passage, a 200 meter long tunnel system, poorly lit with incandescent lamps and seeping walls. Regardless of which declassified fortification you visit, you will not feel well if you are a claustrophobic. No matter how much sun is shining outside, these bunkers do not let any of it in. There is a constant odor crossed with cloaking humidity that accompanies you throughout the visit. But the reality of this spy film is overwhelming enough that you will forget the discomfort as soon as you step through the first blast proof doors. Although the air is regulated by a circulation system to keep it breathable, the air is never quite as fresh as the lake breeze just on the other side of the 3 meter thick rock wall separating you from the rest of the world. At first, the dark, endless tunnel seems to lead nowhere. But in fact, there are secret bunkers left and right, housing the guns, a kitchen and a canteen (that may also be rented out for private gatherings), storage rooms, a first aid station and the lodging quarters for soldiers. Pictured here is one of the two fortification guns from 1939. It was placed behind the rock face in a strategic way to protect one of the mountain passes across the lake, some 10 km away. 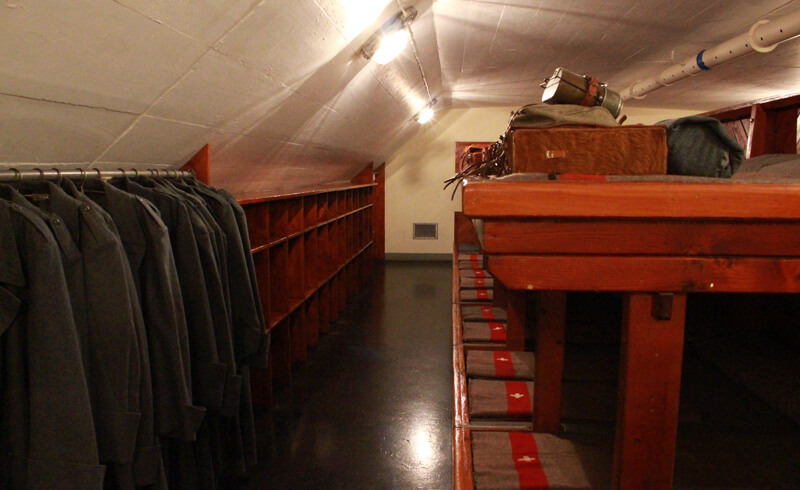 A look into the soldiers' quarters reveals that there were only enough bunks to sleep a third of the troops. This was because of the necessary guard shifts the soldiers would have to follow. During "active" years, a company of a little over 100 men would have been assigned this bunker, sharing all the cramped up space, the stuffy air and the beds. And what a nice surprise: This cafeteria looks like very ordinary, not at all like a cave's secret housing for men in battledress. There are wooden tables and benches, photos hanging on the walls, it is well lit and quite comfortable, in fact. Surely, that small hint of normalcy was more than welcome for the troops who had to live here during their duty. After an hour of exploring the fortress, it was a nice surprise to step out into the fresh, warm summer air. Though the visit was quite awe-inspiring, it was also eerie in many ways. I could only imagine the collective tension among the soldiers who held their military service here back in the day. Fortunately, those days are over. But it was not until the end of the Cold War when these fortifications were declassified. Of the 20’000 installments, 13'000 have been declassified in the late 80s to early 90s, just like this one. They have been mostly sold off, and though not all have been turned into museums like Festung Fürigen, the new owners have been creative about renewing their functions. And yet a select few have been transformed into hotels. One in particular is a fancy four-star hotel sitting right under the Gotthard. How about that for a weekend getaway? 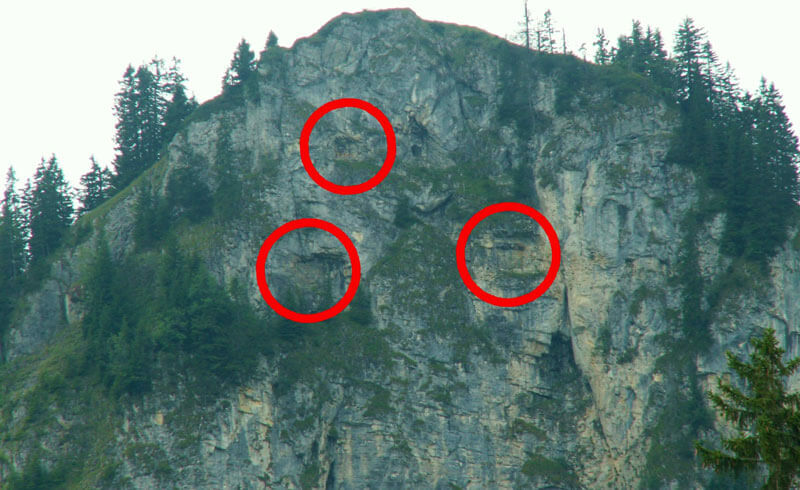 Knowing what may lie within the forests and rock walls of the Swiss mountains may start making a conspiracy theorist out of every tourist! As for me, I am constantly on the lookout. Whenever I look at a cliff wall, I start to scan it for signs of possible "fake" rocks or hidden doors. Whenever I spot an anti-tank obstacle in the hills, I start to deduct the reasons why they were strategically placed there. Sometimes, when I see a lonesome house sitting in a forest, I wonder: "Could that be one?" So, the next time you take a walk around the countryside, look closely and keep your eyes open. There is a big chance you will come across a bunker or barricade of some sort that was once classified. If the mountains don't impress you, maybe, just maybe, the secrets within would.